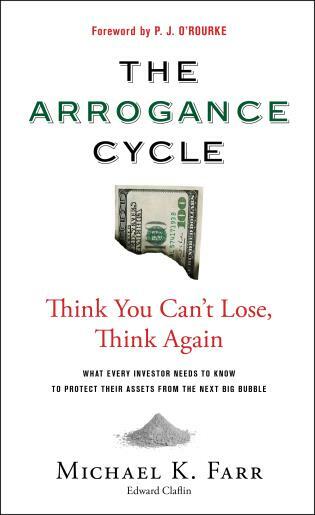 What is the arrogance cycle? We’ve just lived through it. As market bubbles build, our confidence level rises (dis)proportionately. Everyone wants in on the action. We want to believe Wall Street, and once we do, the inevitable happens. Like Dr. Frankenstein breathing life into inanimate flesh, investment professionals sought ever more novel ways to create wealth. The only problem was that it was all artificial. In this book, Michael Farr examines the forces at work on individuals and markets and explains in clear, concise, layman’s terms how we got to where we are. Farr focuses on individual factors—such as rampant consumerism, a sense of entitlement, narcissism, resentment toward the upper class—that combined to create the perfect economic storm. By consulting with leading psychologists and relaying first-hand experience with investment clients, he provides a case study of the arrogant investor. 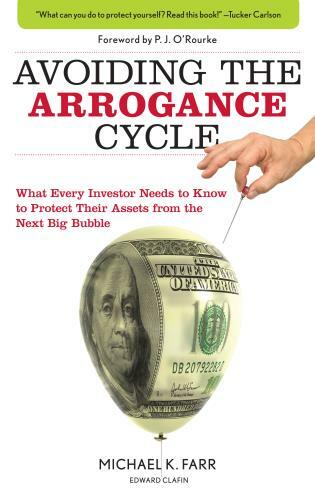 In reviewing failed enterprises like Enron, AIG, Lehman Brothers, and Bear Stearns, as well as the illegal activities of Bernie Madoff and others through the lens of arrogance, the book sheds light on those disasters and offers a means to detect the insidious presence of arrogance so that in the future we can contain the damage before it spreads.